Private cottage «Blue Lakes» is perfect for both family and corporate holidays. The estate is located 65 km from Chernigov and 150 meters from the largest of the Blue Lakes. Private estate "Blue Lakes" works for you around the clock and year-round. We offer accommodation in the main house with two bedrooms and a fireplace room, as well as a bathroom (hot water, boiler, hydro-massage box, toilet) and a kitchenette. In the bedrooms there are double wrought-iron beds with orthopedic mattresses, necessary furniture (cupboards, curbstones, chests of drawers, tables), modern TV, DVD-player, karaoke. The interior of the cottage is made in the style of hi-tech. The house can accommodate 8 guests. 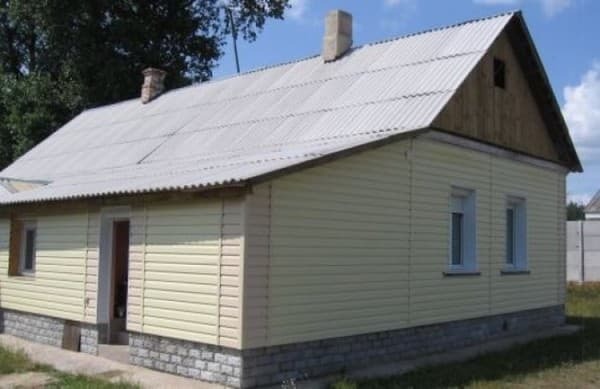 There is the possibility of accommodation in new demi-season wooden houses. The house consists of 3 rooms, 2 of which have an area of ​​16 m2 and are designed for 2-4 people, common entrance and joint dignity. node (hot water, boiler, shower, toilet), 3rd area of ​​20 m2 for 2-4 people with separate entrance and san. knot (hot water, boiler, shower, toilet). All rooms are insulated, which allows them to keep cool in the summer, and in winter - heat. 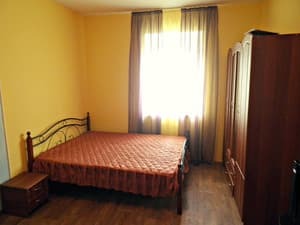 Each room is equipped with two double beds with orthopedic mattresses, necessary furniture (wardrobes, curbstones, tables). Train from Chernigov Railroad / d. Station - morning and evening, every day.